Dogs have been a part of my family for my entire life. The longest I’ve ever been without a dog by my side was during a three week vacation. 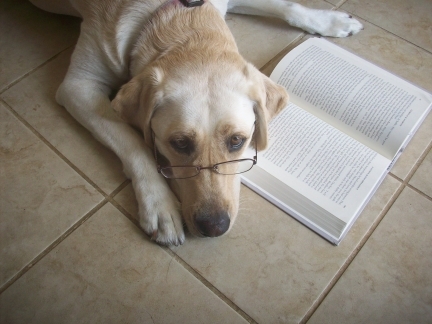 So I understand dog behavior, and I am a good dog trainer. But I fall short in some areas, such as in dealing with dog aggressive behavior. More specifically, in dealing with Pierson’s dog aggression. I’ve been doing a lot of reading and asking questions on blogs about how to work with him. Some of the information just seems wrong and much of it makes a lot of sense. 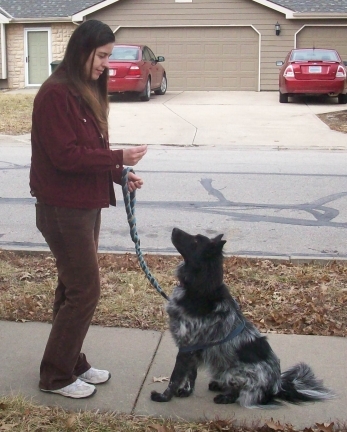 One of the methods I first learned about was in a book titled, “Feisty Fido, Help for the Leash Reactive Dog” by Patricia McConnell, Ph.D. and Karen London, Ph.D. This method is now commonly called Behavior Adjustment Training or BAT. While I liked this method a lot, there was one thing that I had a difficult time with. In order to do this training method, you have to have another person with another dog help you. Who has that kind of time? I could get a friend to help me now and then, but there is no way they would be able to help consistently until Pierson is trained. Even if I got two or three friends, something always comes up. If I could afford it, I could hire a dog trainer who specializes in BAT. But let me be honest, I really don’t have the money for it. And I’m sure there are a lot of you out there who don’t either. There must be a way I can do this by myself. We will go to a park, a park where dogs have to be on a leash. We will hang out someplace where the sidewalk is in view but not so close that Pierson goes bananas when he sees another dog. This is called the threshold level. Then I will use what I’ve learned from the BAT method. When Pierson sees the other dog, I will get his attention with the ‘look’ command. When he looks at me instead of the other dog, I will say ‘good boy’ and give him a treat. I believe BAT says to click then treat but I don’t use a clicker. As Pierson gets better at turning to me whenever he sees another dog, I will reduce his threshold level by getting closer to the sidewalk where other dogs walk. As time goes by, I will eventually be able to sit right beside the sidewalk without having Pierson react at all when a dog goes by. He will look to me instead.